McKesson Medi-Pak Performance Fluid Resistant Gowns are disposable medical gowns made of polyethylene coated spunbonded polypropylene. These materials provide excellent fluid resistant protection. 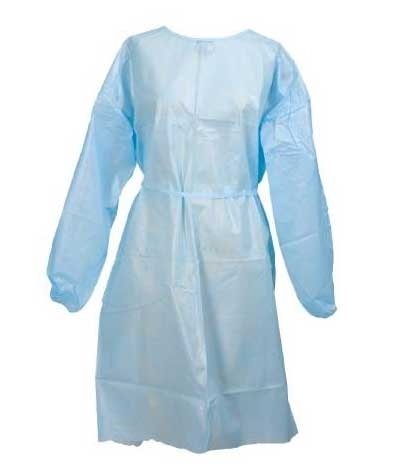 Medi-Pak Fluid Resistant Gowns are long sleeved one-size-fits -most gowns. The long sleeves feature cuff styles the fit snugly under gloves. They have neck and waist ties to offer individual custom size adjustments. These medical gowns are single use disposable gowns. One size fits most for either men or women.